Discussion Board in English What are the International and Regional Forces Going to Say About the Regime's Leaked Policies?! What are the International and Regional Forces Going to Say About the Regime's Leaked Policies?! Colluding with the regime, some regional and international forces have been, during the last two decades, producing and adapting negotiation solutions of Sudan's historic problems. But always there is an obstacle facing such efforts: "the national will." Leaving the regime politics aside, which does nothing but only fatal failures, one has witnessed that those internationally influenced players engaging to impose these solutions, rather, feed the mythic. This is so because the approach the external forces have taken to end Sudanese's dilemma is absolutely misleading and unworkable. Mistakenly, the leaders of the United States, Europe, and China, think that a weakened regime, without a national consensus, would achieve their regional and expansive aims. But the truth is that Sudanese sectors can not be subjected to an external will unless they remain partners in any peace talks process. In fact, no matter how these regional and international forces have succeeded in the past in sharing procedures of accomplishing the so-called peace in the country with the regime, Sudanese's vigilance will inevitably resist these "conspiring solutions." Sudan, since independence, has witnessed dictatorial systems that had planed to exploit international, regional, and internal contradictions for the sake of maintaining a perpetuating existence in power. However, they have failed to do so all the time. Despite such failures weakening, somehow, the power of the people, but the will for the struggle has not been defeated so far. The proof to this is that these governing systems had retreated to sell their unilateral agendas to the country's societal sectors. As a result, these ideologically imposed politics have evaporated while the authoritarian rulers had unfortunately been continuing to practice only political bankruptcy, which did nothing more than contributes to national destruction. 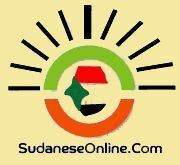 The latest report written by the well-known Sudanese journalist Fatahi Ealdaow articulated that some of these forces try now to bring the entire Sudanese rivals to the negotiation table in order to strike a peace deal with the regime. But a country like Sudan can not be stabilized unless all its Social components are involved in finding acceptable solutions. The Sudanese experiment has assured us that "outside-crafted" solutions, not only were unable to bring peace for the country, but also made the situations on the ground worse than ever. In fact, at a time the people have been enlightened of their rights by the new media, one can not expect that these external efforts will save the regime from collapse. It is sure that the international forces were not serious in making a real pressure against the regime to change its policies of dictatorship and terror. The latest superpower's pressures on the United Nations Human Rights Council (UNHRC) to renew the mandate of the independent expert rather than appointing a monitoring one indicates a way of cooperation with the regime. It is definitely part of the "carrot and stick approach" in the relation between the two parties. 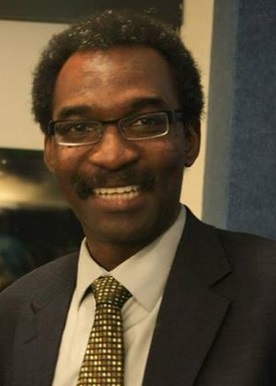 Facilitating the way for the regime through mediation of peace talks with armed forces, in the Arab and African capitals, the international community never ever consider the potentiality of bringing all Sudanese rivals to a national conference in which all society representatives can address the root-causes of the the country's crises. Such a conference may save time and effort for all conflicting forces to achieve the real solutions that make the difference. In the environment where a practical and affordable road map to peace is missing, the regime, in contrast, has used that internationally logistical boosts to enhance its method to suppress the opposition parties. In terms of the Darfur case, which has preoccupied the whole world, peace has still not been achieved. Still there is a lack of peace. Instead, more civilian atrocities have been committed by the regime militias, after signing two peace accords. In the areas of South Kkordofan and Blue Nile the international community has been only watching just how the aerial bombardments have been smashing the civilians' life there, besides the militia ground attacks on the villagers. This new development has escalated the need to humanitarian assistance for displaced persons and refugees. Until now the regime rejects any presence of the global and national organizations working in the field to rescue the civilians from famine and disastrous decease. If we examine the situation of human rights in the whole country we will find that the regime has suppressed all political activities. also, Iit has also refused to allow, even, the U.N's independent experts to visit some areas of conflict, and political figures, to report on the state of political freedoms, human rights, and the war crimes committed by the Janjaweed. The leak of the results of the regime's top leaders closed meeting that was published this week by Dr. Eric Reeves came at a time when the international forces are mediating in bad faith to achieve peace. In fact, every quotations from that meeting confirms, conclusively, that the meant international powers are naive in entrusting the peace issues the Sudanese government with the peace process. The leak, so, asserted the deep rationality of the leaders of the oppositional forces who see that the regime is not serious in respecting their roles to resolve Sudan's outstanding problems. It appeared to us, through that leaked meeting results, that the Sudanese Islamists depend for decades, entirely, on terrorist policy, not the policy of creativity. Thus, the Sudanese Islamic Movement's leaders have been feeding those contradictions, referred to, in order to blow up the whole region, while the regime finds a way to survive, at any cost. Also, this leak is a strong message that must be highly considered by the leaders of the African Union, and the Arab League who are eager to engage in an effort to help the regime to compromise with its citizens. It is also a message for those national forces trying to convince us that there is no solution to the country's problems except through dialogue with the regime, and then sharing with it the responsibility of rehabilitating Sudan. For those who are betting on a dialogue, as a solely means of solving Sudan's national problems, they have to convince us, too, of how can we believe in the credibility of the Islamists’s dialogue with the opposition activists? The leak, on the other hand, was a gift to those Sudanese opponents believing in the necessary of overthrowing the regime and establishing a democratic government. It offers them an inside look on how the regime is thirsty to blood with no mercy, and therefore they have to understand the mechanism of the Islamists' thinking.